Hacienda Binay? Hacienda ba kamo? Probe Aquino’s Luisita! 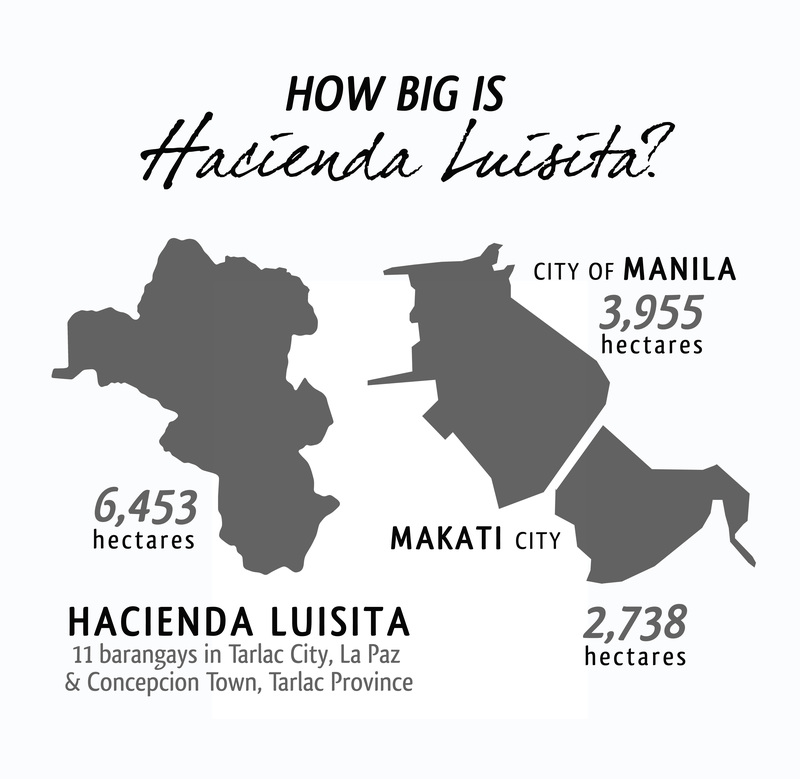 Since the Senate is into “haciendas” recently, it is now time for them to look into the state of no less than the president’s 6453-hectare Hacienda Luisita in Tarlac. Looking into the Luisita case would be timely because come November 16, it will be the 10th year since the bloody Hacienda Luisita massacre. It has also been 3 years since the Supreme Court ruled to distribute the Aquino-Cojuangco property to peasant tenants. Aquino and his family still have not distributed Luisita and through the Department of Agrarian Reform (DAR) have resorted to various schemes to avoid land distribution. A few days ago, DAR delisted some tenants from the list of farmer-beneficiaries. The farmers are still without land and justice. Aquino’s is a haciendero republic which perpetuates feudal oppression and landlord rule. Incidentally, this month is also peasant month. Senate should look into all haciendas and the state of land reform in the country. These haciendas should be dismantled and landlord rule should end. Various activities are set by peasant and activist groups in the next few weeks to call for justice for victims of Luisita massacre and to call for genuine land reform. For instance, while the administration senators are ardently pushing for the investigation of Vice President Jejomar Binay’s corruption allegations, their attitude towards the corruption issues of BS Aquino and his allies differ greatly. Butch Abad, Proceso Alacala, Jun Abaya, Dinky Soliman, Balsy Aquino, and Joel Villanueva — all of whom are linked to various cases of corruption. Any hearings set to investigate them? If the anti-corruption probes are limited to political opponents of the president and the ruling party, the Filipino people cannot expect justice, change and genuine accountability. Images via Luisita watch. Some rights reserved. As originally posted at Hacienda ba kamo? Probe Aquino’s Luisita! , Blog Watch, Philippine Online Chronicles.